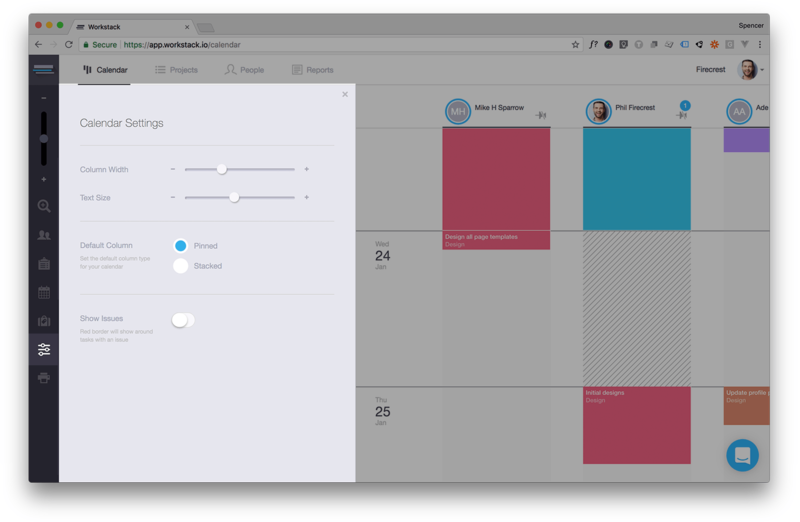 The toolbar contains a series of tools to help you navigate your project data without having to leave the calendar screen. 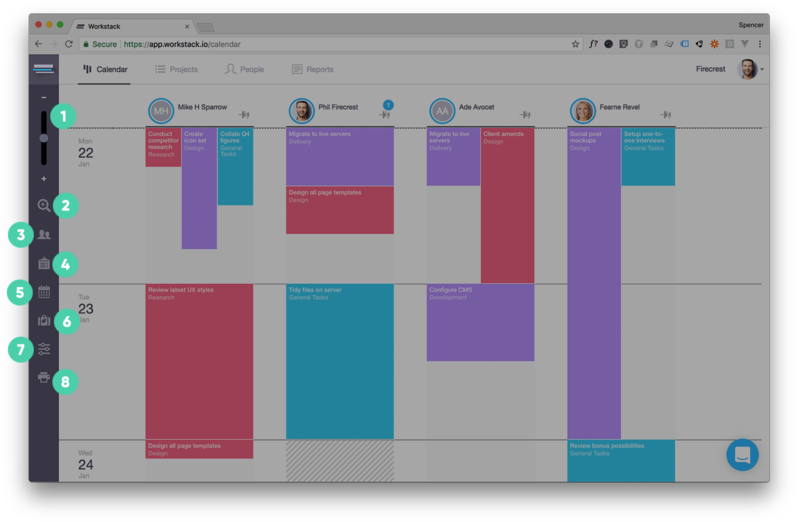 The project panel let's you search for a particular project and display all it's tasks in a collapsable list view. From this panel you can create new Todo Lists, Todos or assign tasks to people. 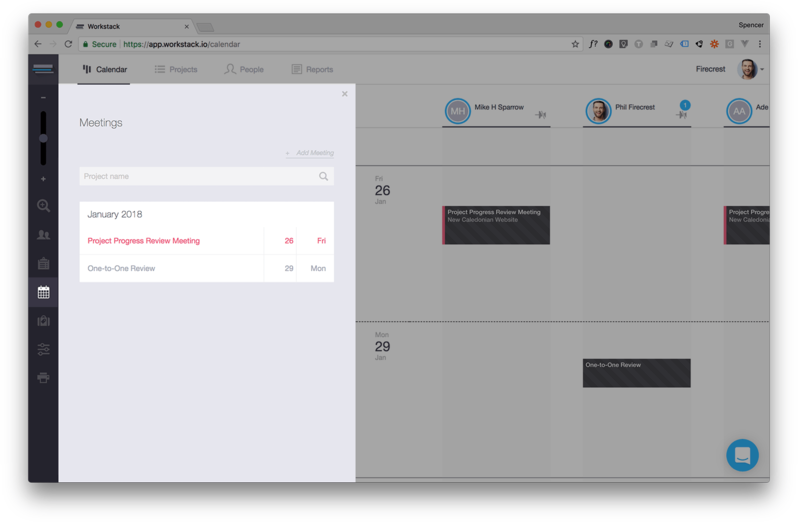 This panel allows you to manage all your meetings in one place. Create new meetings or edit or delete existing ones. 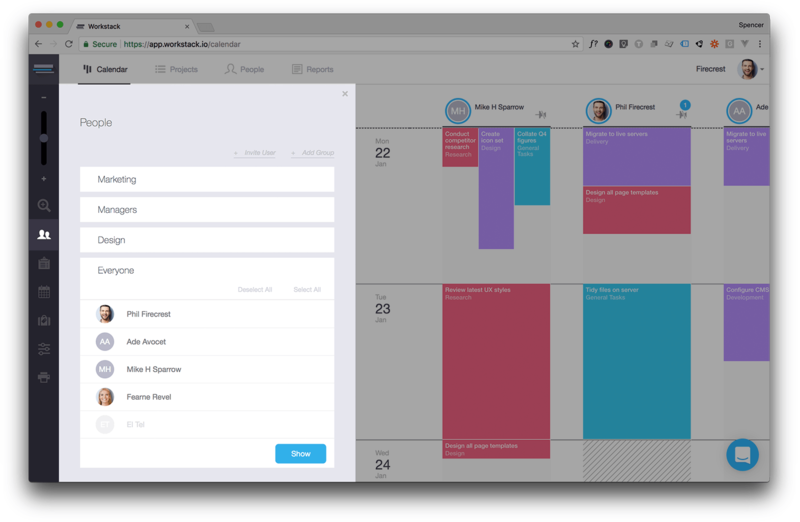 This panel allows you to manage all scheduled time off in one place. Schedule time off or edit or delete existing entries. 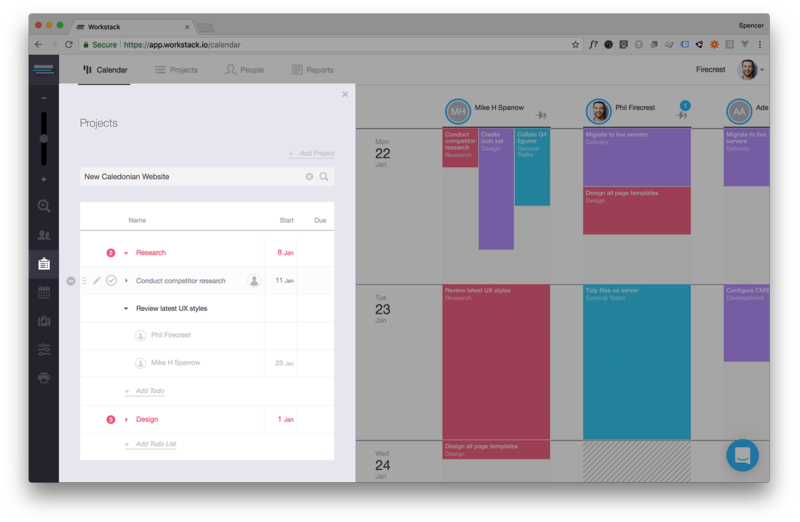 You can also add company holidays here too - which will block off days for everyone in your team - useful for adding public holidays. 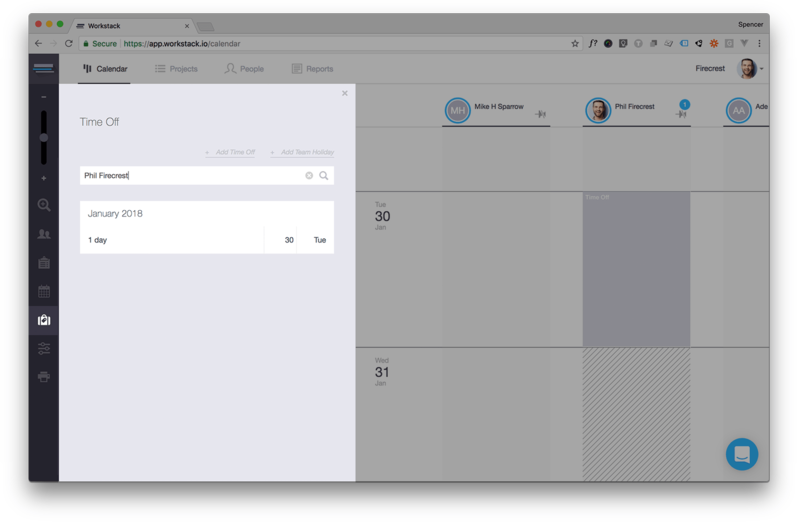 This panel allows you to change the text size and column widths of your calendar. You can also set which type of column you want to use as the default on the calendar - either pinned or stacked. You can also toggle whether you want to see issues with tasks. If this is selected a red border will appear around any task that has an issue - e.g. past it's due date. 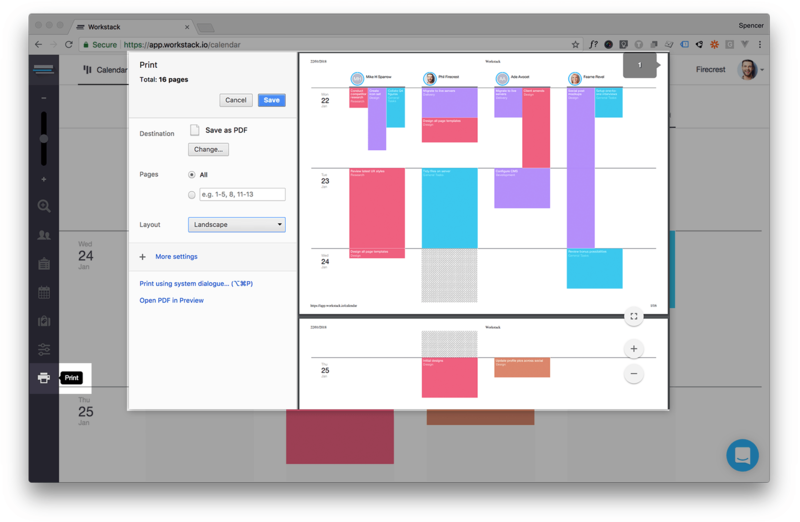 This tool lets you print the calendar schedule for use offline. By default it will print the next 4 weeks of the calendar. If you want to print more you will have to actively scroll the calendar down to load more weeks and then click the print icon.